The place offers plenty of tourists’ attractions with rich history and culture. The Throne of Tipu sultan and the rule of East India Company along with natural glimpses are some of the many things to mention. Some of the best tourist places in Bangalore city are listed below. The place was built by Haider Ali and later worked by Tipu Sultan. It is a popular destination for tourists believed to be one of the most beautiful botanical gardens in India. The Glass House in the garden was designed in the view with London Crystal Palace. It is the house for 1800 species of trees, herbs and plants which are north tropical and sub-tropical in nature. The garden is spread over a land of 240 acres. There is also a lawn clock which is first of its kind in the country. The Cubbon Park is spread over an area of around 300 acres and was built by Richard Sankey, Chief Engineer of Mysore. Here you can see the statues of famous personalities like that of Queen Victoria, Chamarajendra Wodeyar, Major Gen. Sir Mark Cubbon, Rajya Dhurandhar, Sri. K. Sheshadri Iyer and Edward VII. There are many buildings of which some are neo-classical, the Government Museum, High Court, Doll Museum, Cheshire Dyer Memorial Hall and Public Library along with a toy train for children. The fort was initially built by Kempe Gowda and the Tipu Sultan palace inside the fort reflects the great work of artistry. Tipu Sultan Fort was built in the year 1537 and it was extended in 1790. It was the summer retreat of Tipu Sultan. The Palace was built in Islamic style and has two stories. The Ganesh Temple inside the fort and the garden are the other places to visit. The Place was later used as British Secretariat till 1867. A museum is maintained in the Palace with some historical relics which belonged to the period of Haider Ali and Tipu Sultan. There are other forts of Tip Sultan such as the Devanahalli Fort located 35 kilometers north of Bangalore city. It is the State Legislature and The Secretariat of Karnataka. The building is build with an essence of Chola, Dravidian and Kannadiga (Dravadian or South Indian) style and has 12 massive granite pillars. On the top of the biggest Dome out of four domes stands the national emblem of India – the Ashoka Sthambh. It was built in the year 1956 and took about 4 years to complete. Kengal Hanumanthaiah is known to have conceived and constructed Vidhana Soudha. Today a popular floor for rock concerts and events was once the royal home of Wadeyar family. The palace was built to resemble Winsor Castle of England was built by Chamaraja Wodeyar. Its interiors are elegant carved of wood, Gothic windows, battlements and turrets. It was built by Kempe Gowda, this temple is famous for a huge monolithic bull believed to have grown in size and stands 4.5m tall and 6m long. The Shiva Statue is 65 feet tall. The statue depicts Lord Shiva who is seated in Padmasan or Lotus position. This is one of the largest Shiva statues in India. The background has been made to look like Kailash Parvat and also has imitation of Jyothirlinga in the vicinity. It is the temple of Radha and Krishna with a perfect blend of modern architecture and traditional temple feel. It called complex since it houses multi-vision cinema theatre, computer aided presentation theatres, Vedic library and a preaching library. It is now a popular health resort, but it was also the place Tipu Sultan and assorted royalty retired after battle and escaped the heat of the plains. The highest peak being 2004m and Tipu’s drop 600m, these hills offer splendid beauty of nature. The major attractions of Bannerghatta National Park are the Tiger and Lion Safari, Crocodile Farm and Butterfly Park. The park has a wide variety of animals like royal Bengal tiger, black buck, and leopard, barking deer, hyenas, bison, elephant and wild boar. It has displays of the works of painter Venkatappa, wood sculptor Rajaram, Hebbar and many others. If you are a art lover then you got to visit this art gallery. The Aquarium has the finest fresh water fish collections. In fact, the aquarium is the second largest in India. Apart from the Aquarium you can visit the fish restaurant and fish stall as well. It is not a ‘museum’ in its classical sense, because it has interactive exhibits other than stationary models typical to a museum. It is more of a “Science Centre”. It was in instituted as part of the centenary celebrations of the engineer-statesman Sir M. Visvesvaraya. For those of you who like to hang out and relax and do some exquisite shopping United Beverages city is the one. It is the brain child of Vijay Mallya and there you know how the experience here is going to be! Brigade road, MG Road, countless malls, Commercial Street, pubs and restaurants are endless in the city for shopping and indulging. There are no shortages of places to visit in Bangalore city. When in Bangalore, become a Bangalorian and enjoy the life international! If you have been to the city and would like to include some of your favourite places to visit in Bangalore then feel free to mention it. Fantastic images had mentioned above. I love these places. It gives facts from environment at these places. Great post about Bangalore and its hidden treasures. They’re all awesome and worth the visit. Love those architectural wonders you’ve got there! All I’ve seen on my trips is shops. Thanks for this. Right I am going ot Visit all these places for sure .. I have heard so much about Bangalore specially about fort of Tipu sultan.It is also have big industries.I want to visit soon at Bangalore. Bangalore is city of Engineers. I am a software engineer and I know it is like heaven for Engineers in terms of best Companies and Job. You have shared a different aspect of bangalore in terms of travel and places to visit. I like the photo of Shiva Temple….Bangalore is in my top list of places to visit. Thank you Farida, perhaps I will meet you when I next visit Bangalore. I just love Banglore. Its the favorite city of all geeks. I had no idea there were many places to visit in Bangalore! I only thought there were only a few historical sites and then that’s it. When I get to visit Bangalore someday, I’ll definitely go and see the Shiva Statue and The Bangalore Palace. Thanks for sharing! Bangalore is indeed a nice place to visit on holidays. I really liked the place, I have been there twice. I just love the Cubbon park, it is filled with tranquility. Those who loves peaceful places, must visit this place. The post describes the entire list of where to go when in Bangalore. Thanks a lot for sharing this exciting list of places. Hello Shalu! I’m definitely not missing the opportunity to visit Banglore. Thanks for another informative share. India is really very nice place for visitor. Bangalor is one of the great tourist spot but i didn’t know about it so much. This article is really very useful. 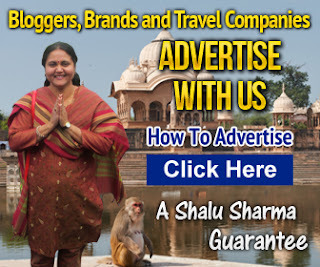 Great post about Bangalore Shalu. Bangalore is an IT city along with tourist city. I never heard about these places of Bangalore. Thanks to sharing here. Thanks for the list. Would also request you to add a list of one day trips around bangalore. Soniya will do that. Thats a good thought. Thanks for the suggestion. Bangalore has always been a best place for visit and to stay, Especially should visit Nandi hills for its splendid beauty !! Awesome information sharing Bangalore Places to Visit. Being Lifelong bangalore resident still I haven’t seen many places you listed. Will defintely help me to try one at a time to visit them. Thank you so much. Nice Post.Thanks for sharing the post..Get the Best Online Bus Tickets Reservation Services with Ticketgoose. Your Online Bus Booking is just a click away! Interesting!!! Thanks for sharing the post. I love Bangalore, specially its weather..
UB City is very nice place in Bangalore but Only billionaires not millionaires can buy anything in this place,here you get heart attack if you read the price tag,what costs ten ruppees here it will be at least 300 rs or even three thousand. 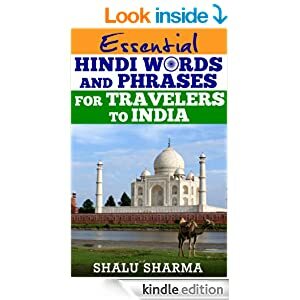 Thank you i want to know more about various beautiful places in India. Nice information you post about bangalore.I will be waiting for new posts on other beautiful places in India. Amazing. Looks like Bangalore has a lot to offer to tourists. Definitely a place worth visiting. nice information you have mentioned here.thanks for sharing this information. Thanks for introducing new places in bangalore city. Thanks for this amazing post. Your information about the Bangalore city is very useful to me. The high quality photos highlights your article. Continue your great work for other cities also. Hello Shalu Sharma! Hope you doing well. 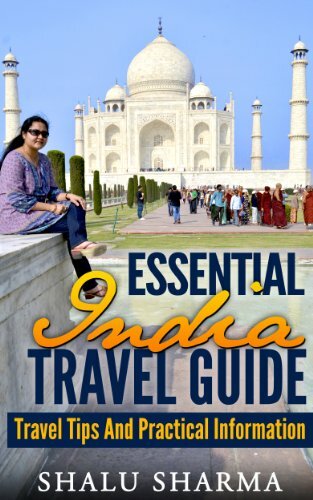 I read your article and found useful information that can help travelers to Bangalore. Fully researched and minute description of all tourist places of Bangalore make your article more appealing and eye-catchy. Keep going with the same spirit. After traveling hundreds of places around the world, seen from within the Bangalore Palace is a luxury. One of the more selfies that I shared with rhetoric. I recently go to Bangalore and see God shiva statue and lalbagh garden, both are amazing and very beautiful place other places are dosent seen. but next time when ever i go to bangalore must see all the places. thanks for sharing. Nice information of banglore. Banglore ins famous place in south india for spending vacations. It is known to be the silicon city of India and the capital of information technology or the IT world of the country. if you can make the pictures much bigger, it will be much appreciated. It seems i will add Bangalore to my places to travel for next year. I have never been to Bangalore. This article is going to help me when I visit there. Bangalore is popular IT hub of India therefore one day I am going to visit there. Hi, I am looking for a good hotel to stay in Bangalore. If you have ever stayed in a Hotel in Bangalore please share it also share your experience. It will be a great help. Bangalore is one of the famous metro politician city in India. I visited Lal baugh, nandhi hills and shiv temple in Bangalore, all places are very calm and good places to visit. Bangalore is one of the best places to visit in the country, India. Here, you can get everything you want. Very nice work. You are sharing very nice information. Bangalore is one of the very nice place to have tourism. Very nice collection.Bangalore is one of the best places to visit in the country, India. Here, you can get everything you want. I have a planned trip to Bangalore. After visit above post, I can make a decision to visit famous places in Bangalore. very vivid description, feels like i a virtual visit to the city! Bangalore is really great place to visit. Anyone will be more delighted to come here. Excellent list. Its great to have something to check off from when traveling. Great locations too. Bangalore is one of the best places to visit in South India. Bangalore has so many delightful tourist places. This is really very interesting one. Thank you. Almost you have covered everything in bangalore. my favorite spot is nandi hills in bangalore. Always i would love to visit and enjjoy nandi hills.. find more information about nandi hills wiki. Thank you for the list of places to visit in Bangalore. Definitely want to visit the palace next month! 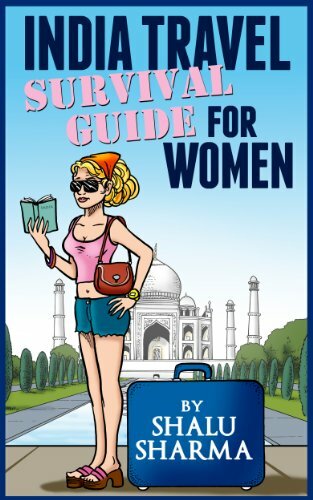 Thanx for the guide provided by you. I would love to travel Bangalore as it is one of the loveliest city. Its interesting how in the context of contemporary outing, UB City Mall is included! And how apt too! Thanks for sharing this info. I am reading this article like the photo of Shiva Temple and Nandi Hills Temple. Bangalore is very nice places. I will visit in the country, India. Thanks again. Hey, it was really a nice article. I suggest that if you travel Bangalore to Mysore by taking a car on rent then it will be more fun. You can explore the natural beauty more. Thanks for sharing this Post. I visited vidhana soudha and nandi hills, lalbough, but rest of the places i didnt visited, its really useful post for all visitors. Thanks for sharing awesome blog. i planned to visit Bangalore. but i don’t know where to go now i got an clear idea. India is really very nice place for visitor. Bangalore is one of the great tourist spot & climate is very rainy and cool .So be happy in bang lore for climate This article is really very useful.